Lunch, dinner, or party appetizer – this sardine flatbread does it all. Go as simple or as fancy as you like with your toppings. 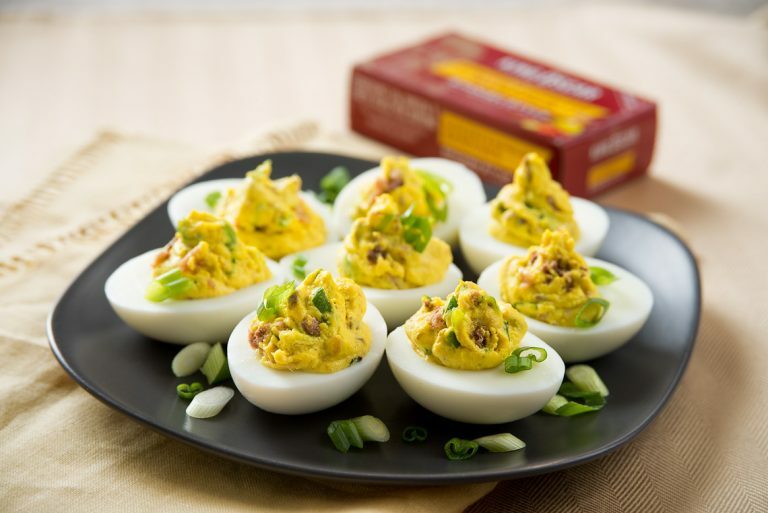 Try adding chopped red onion or artichoke hearts for a special taste sensation! 2 Brush flatbread with reserved sardine oil, then spread with a thin layer of tapenade. 3 Layer vegetables thinly over flatbread. Top with chunked sardine fillets. Sprinkle with cheese. 4 Bake assembled flatbread on a nonstick cooking sheet for 10 minutes. 5 Top with optional lemon zest and parsley and slice into desired serving sizes. Cut flatbread into smaller sizes and serve as an appetizer. 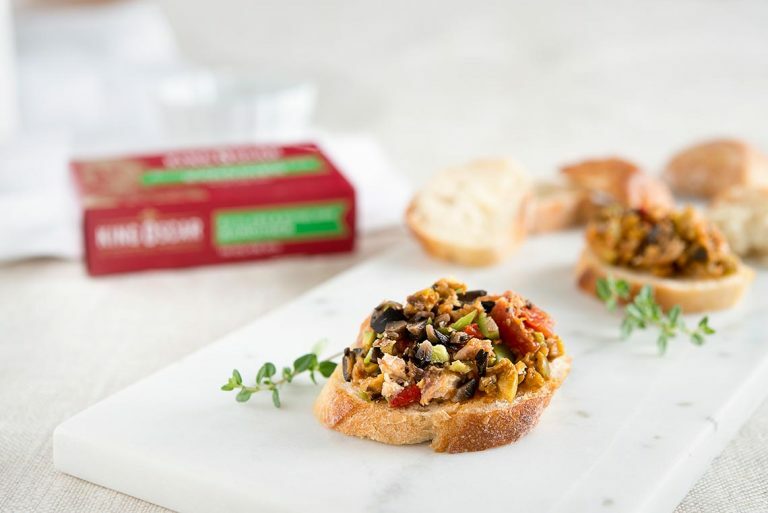 Try with your favorite King Oscar Sardines for a variety of taste sensations!